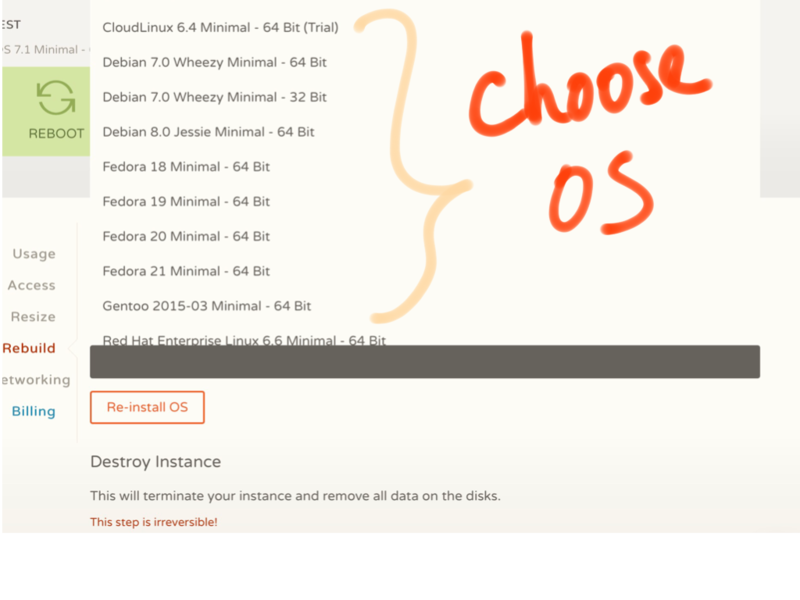 How to install a fresh OS onto your instance and boot it up. If anytime you mess any installations the first time you are free to rebuild your instance and start from scratch by re-installing a fresh OS onto your instance. This will format your disks and all your current data will be erased and are not recoverable. Then select Rebuild from the left side navigation menu. 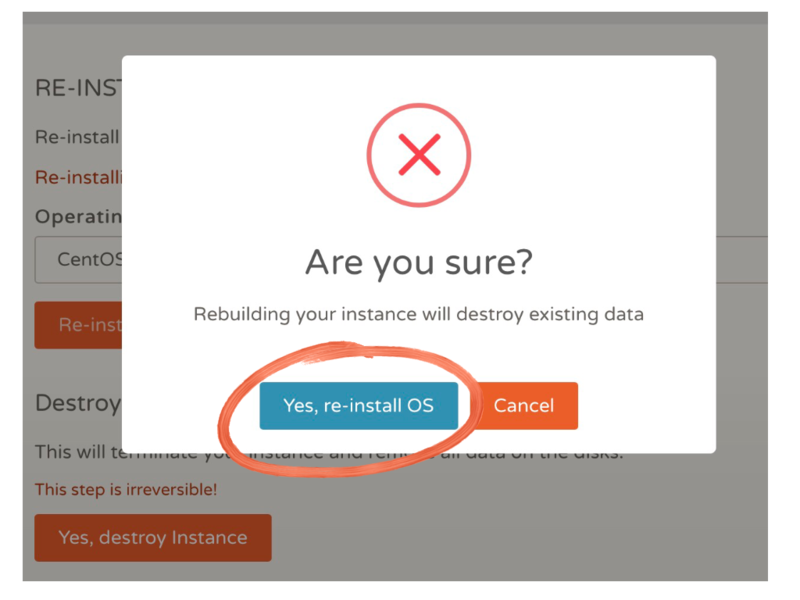 From the Rebuild page, select the operating system you want to install on your instance and click on the Re-install OS button. You will be asked to confirm your action. Click Yes to continue. The rebuilding process will take around 40 seconds to complete and after that, you are good to go.